Check out Mark's very first movie reviews, from classics to big stinkers. Mark wraps up this season with one of his all time favorites, The Secret of NIMH. What's the secret to this excellence? I don't know, but see this review anyway. This film made Mark quit sic-fi month (good thing it's the last installment). So, we have a special guest filling in for him. And this is someone who may be more evil than the movie itself! (If you don't read the Man and the King series in this same website you may hate this review). An alien and a hawaiian little girl meet, as two monsterous tragedies mix into one. Is it as grand as everyone says it is or should it be sacarfised to the fire gods? Why bother with the intro, second part of sci-fi month, and I get this piece of poop. Why? First part of Sci-Fi Month. Is this movie as lifeless as your everyday toaster or will you feel for something that can't feel for you? Oh, you've seen it, you know what it is. Pirate Captain tries to win the Pirate of the Year award. That's it. Is their more quality than there is plot or is there a reason there is no more pirates, except for those in Somalia but let's not talk about that. Let's find out, because it's my job. HAPPY 10TH MOVIE REVIEW! Anyway, yea, this is my 10th movie review in case you didn't get the hint, and I'm telling the tale of Toy Story which I don't need to explain because you all know/seen it, plus that's why we have google. So... yea, click it... OR I WILL FIND YOU! Olivia Dawson's father has been kidnapped by the Evil Ratigan, and the only person she can turn to is Basil, the great mouse detective. Is this film as rich as cheesecake or should you just lay out as much mousetraps as you can? 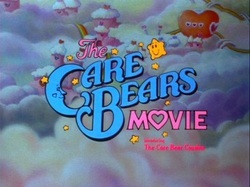 Strange, for a movie about caring, it really makes me want to hurt someone... click the poster to find out why! 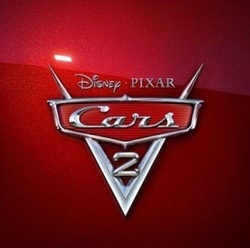 Considered Pixar's worst, is this car just underused or did it run out of gas after the first Cars film? Don't ask me, just go to Metacritic! But, if you want to see what I think, go ahead. The last animated film of 2011, also motion capture! But will it take the same route of Mars Needs Moms or did Stephen Speilburg's talent sink with the Unicorn? Let's see if this is the real treasure? The story about what happened to the Barbaloot trees and the mystical creature they call the Lorax. Will it be as green as nature or as dead as the Barbaloots? Let's jump right in. The first animated film of 2012, and will it be as spectacular as other Ghibli films or will this be small in size compared to the others? Let's find out. Now, I heard this is a crossover review, who am I doing it with... Poor Man. Wait, he isn't even a film critic! The tale about a troll who can grow plants vansihed from the Kingdom of the Trolls to a place where no flowers can be grown... Central Park? Ok, I'm making a top 5 list for biggest movie errors. Anyway, will Mark be green of envy that he didn't make it or will he get troll'd by the story. Click and find out. Red and the gang are back on a rescue mission to save Hansel and Gretyl from the Witch and the three little pigs. Will Mark's first movie review set off a good start in his non-paid carrer or will he just feel hoodwinked? Find out, what are you waiting for, click the picture or the title, because if this is as bad as everyone says, you're sharing the pain!